- Date: 09/2011, Seed: $400 k (post valuation: undisclosed amount). Microsoft Ventures has chosen behavioral analytics firm CreativeWorx to participate in its Seattle-based accelerator, focused on Enterprise Productivity. 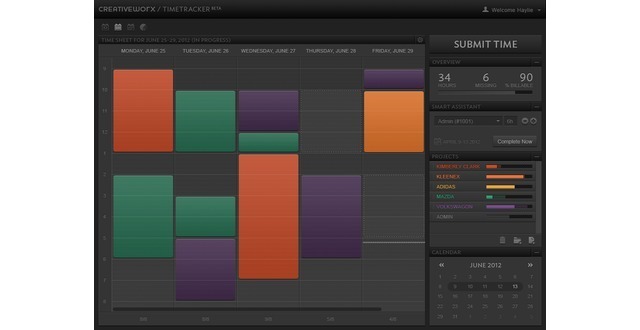 Not only will this improve TimeTracker, the CreativeWorx solution for late and inaccurate timesheets, but it will accelerate development of a highly disruptive solution (still in stealth mode) to improve employee productivity. TimeTracker is the most downloaded app from Adobe's app store! 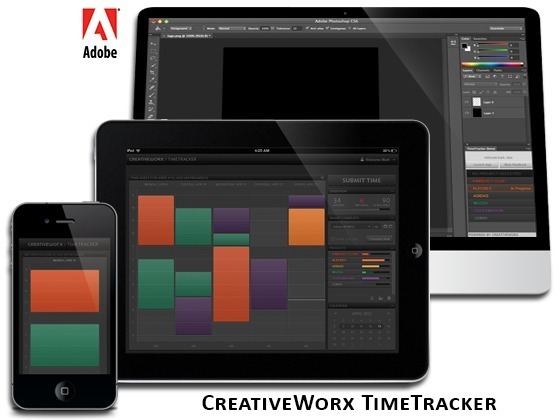 On Sunday, 11/18, Adobe tweeted that CreativeWorx' TimeTracker was the most downloaded extension from the Adobe Exchange app store. The CreativeWorx CEO Mark Hirsch was recognized by Adobe with an award for his enterprise solutions. Mark left Adobe, with their support, to start CreativeWorx, an Adobe partner. CreativeWorx is a great opportunity. Mark Hirsch is one of the savviest, knowledgeable CEO/founders in know. He is targeting a great problem, he has very slick entry product, and he has significant traction with clients. A data-mining company that automatically captures how employees work to drive productivity, increase profitability and increase employee job satisfaction. One of the key problems with most enterprise systems is they rely on manual entry of data from workers. CreativeWorx has solved this problem for certain organizations and continues to expand the market potential with additional solutions. By making the capture of hard-to-obtain employee workflow data effortless, the CreativeWorx platform automatically generates business intelligence that helps organizations & individuals capture more revenue, reduce costs, streamline processes, and have better visibility of operations. The first product on the CreativeWorx platform solves the global timesheet problem to increase revenue and accelerate invoicing. Key Problems Solved for Customers: One of the most challenging problems for an organization is its inability to efficiently collect accurate data related to how worker’s spend their time. The ramifications are significant as poor data collection routinely leads to missed revenues, unnecessary operational costs and delayed invoicing. The CreativeWorx platform eliminates these challenges by automatically collecting this information, performing real-time analysis and then notifying the right people at the right time. Products & Services: The first CreativeWorx product is the patent-pending TimeTracker, which silently captures real-time data from an employee’s open applications, email, browser, phone calls, mobile phone activity, GPS location data and more to generate accurate timesheets. TimeTracker provides unprecedented efficiencies that capture billable activities which are typically lost, reduces the costs associated with timesheets, and accelerates invoicing and revenue collection. Target Markets: TimeTracker delivers measurable value to organizations that generate revenue via billable hours. This includes attorneys, accountants, consultants, software developers, advertising agency & creative professionals, and contractors. Though TimeTracker is market-agnostic, CreativeWorx is targeting the advertising industry initially to leverage the founders’ deep industry expertise and TimeTracker’s distinct competitive advantage. Total Addressable Market: In 2011, $18 Billion was spent on tools that directly improve the creative production process. The CreativeWorx platform and tools will compete favorably in this space. The business intelligence market is relatively untapped and addresses the $45 Billion of production services. Customers: We have two paying customers: the global ad agency JWT and another mid-sized ad agency, to be publicly announced shortly. 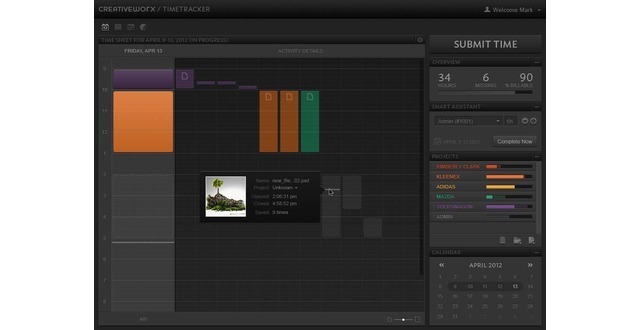 TimeTracker was released as beta product in September, 2012. 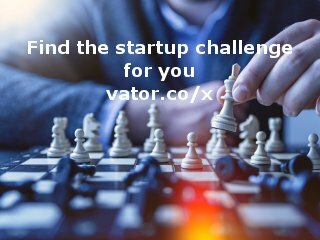 Competition: The CreativeWorx platform provides workflow solutions with a focus on business intelligence and extremely appealing user experience. Competition is fractured in the creative space with very little focus on business intelligence, and in most cases the time tracking software is a manual operation. Many enterprise platforms (SAP, Microsoft, Salesforce.com) offer a time tracking component, though we will provide an alternative solution by integrating TimeTracker. Strategy/Barriers to Entry: Our expertise with the Adobe Creative Suite platform provides competitive advantages related to our real-time data gathering in the creative industries. We anticipate first-mover advantage for implementing real-time business intelligence for creative professionals improve operations and directly improve bottom line results. Additionally, CreativeWorx has filed two patent applications and will continue to file where appropriate to protect our unique IP. Business Model: CreativeWorx derives the majority of its revenue from subscription services. However, there are additional revenue streams including application licensing, commissions from third party services, support agreements and subscription to data analyses. Mark Hirsch is a serial entrepreneur with successful ventures in software development, media, retail, and feature films. Mark left his job at Adobe to start Openhour. He's a graduate of Wharton. Openhour derives the majority of its revenue from subscription services. However, there are additional revenue streams including application licensing, commissions from third party services, support agreements and subscription to data analyses. At the highest level, we have several products planned, and they are very complementary. Purchasing one makes it very easy to embrace the others. We are targeting the agencies first to capitalize on our distinct competitive advantage...that we are deeply integrated with the Adobe Creative Suite tools. The advantages to our user are significant, so we are targeting at least 2 Creative Directors or Associate Directors at the top 100 agencies. Target the Buyers: Additionally, we are reaching out to the actual buyers within the agencies: the CFO and Finance Directors. Response from this group has been exceptional. In all of my years selling, I have never seen CFO's accelerate deal discussions. Though TimeTracker addresses the needs of creative professionals, it also solves major pain points for the Finance teams. Of course, we are leveraging our many direct contacts within the creative and advertising space. Target Senior Leadership: We are also promoting to CEOs and other senior leadership regarding specific value for them that is provided by TimeTracker. This is simply to help ensure we have 'air cover' and helps to accelerate some of the conversations. Leverage Social Media: Mark Hirsch, Openhour CEO, heads the "The NYC Creative Meetup". Openhour is a sponsor of this, and we are able to piggyback on the certain event targeting the needs of creative professionals. We have tested paid advertisements with some of the social networks and search engines, and we will use the paid model sparingly. Of course, we are also working the social networks directly to promote the solution. Other Target Markets: Though we are focused on an initial roll-out to the advertising agencies, we are exploring other vertical markets and have interest from several major clients. Examples include: consulting (Accenture), Accounting (EisnerAmper), Legal (Goodwin Proctor) and the creative freelance community. 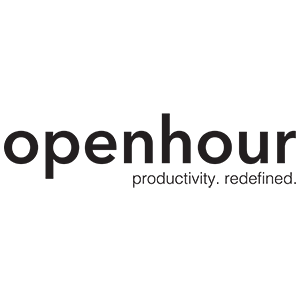 The Openhour platform was designed to capture and analyze tremendous volumes of user data. Our architecture was designed from the onset to harness this big data set to provide incredible user and company-wide analytics. 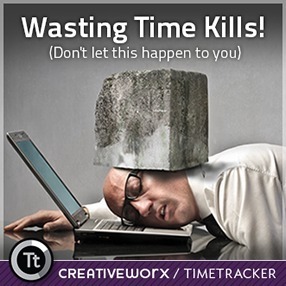 The initial target market for our first product "TimeTracker" is the advertising industry and creative professionals. Our deep expertise with the Adobe Creative Suite platform and unique integration provides distinct competitive advantages related to our real-time data gathering in the creative industries. We anticipate first-mover advantage for implementing real-time business intelligence for creative professionals that improve operations and directly improve bottom line results. Additionally, Openhour has filed two patent applications and will continue to file where appropriate to protect our unique IP. Another facet of our competitive advantage is the user experience...including the design of our product, and the absolute ease of use. From a simple installation to nearly automated use of our product to create accurate timesheets, TimeTracker is elegant and hidden. It's a joy to use. We're applying this same philosophy to the other applications we'll be rolling out, including integration with the Microsoft Office suite, Microsoft Exchange, Google Calendar, email, browsers, mobile phone, GPS and more. Some of these other products are already complete and will be rolled out slowly in December and January. Openhour was featured in a VatorNews article: "Splash SF Feb 2013 Finalist - CreativeWorx"
Openhour was featured in a VatorNews article: "The winner of Vator Splash SF is... PokitDok!" Openhour was featured in a VatorNews article: "Vote for your favorite startup at Splash SF Feb 2013"
Openhour was featured in a VatorNews article: "Here are the 10 finalists for Vator Splash SF!"